Downey Daily Photos: How much is that doggie? These days, the animals at the "pet store" at Stonewood Shopping Center aren't the furry variety. 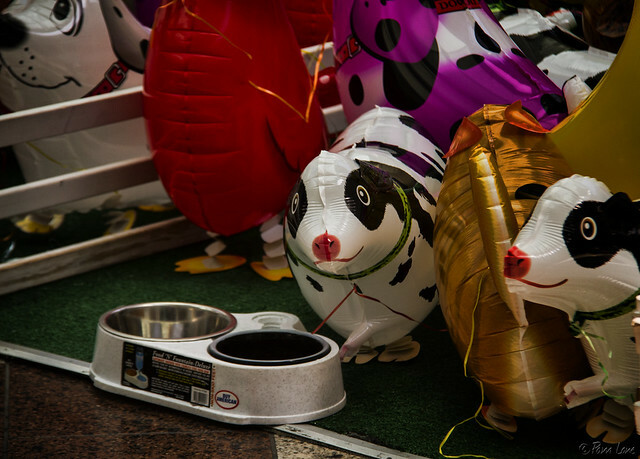 Instead, they are rubber and colorful and tend to float away if not properly "leashed." In spite of the food dish in this shot, I don't think these pets require much food—which makes that whole discussion of "If we get you a puppy, do you promise to help feed it and take care of it?" a moot point.